Northern Heartlands is one of the Great Place schemes, jointly funded by ACE and HLF with the ambition to empower communities through culture, heritage and the arts. One of the only schemes not to be embedded within a local authority, the bid itself left space for the strategy and direction of the process to be owned and directed by the community. However, as well as starting with community discussion, there have been a couple of occasions where working with artists has been the beginning of the process of engaging communities. 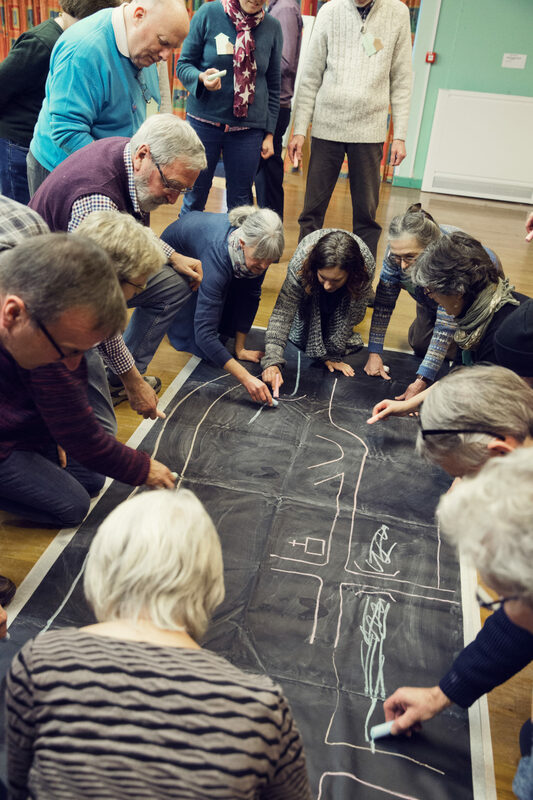 In one instance, theatre company Cap-a-Pie led a version of their ‘Town Meeting’ show and workshop to help a community think about their local Neighbourhood Plan. Following this process, and a subsequent creative event bringing people from all levels of the community to talk about planning, one of the participants was motivated to stand for her parish council. This summer, The Man Engine, a promenade show involving a huge puppet of a miner took place in a parade in Willington, a place that is always overlooked and driven through on the way to Durham. This is the only activity that has been programmed centrally, but Jill Cole, the programme Director talks about the importance of both approaches. ‘The Man Engine in Willington is the beginning of a process, it’s designed to remind people that this can happen here, that they are important. It will help us have a name, and build trust, so that we can then start a working group and build from there.’ This is as important as starting just with listening and learning, it’s two different approaches to the same end. As the programme continues to grow, this humble, connective approach to local development aims to put people’s creativity at the heart of cultural change in the area. But cultural change doesn’t just mean the arts, the programme will tackle planning and farming and agriculture – issues that are directly facing the local community, particularly in the wake of Brexit. By responding to its community, the programme remains relevant, and therefore has the opportunity to make significant and long lasting impact over the rest of its duration.